Complete drilling tasks with more speed and better results than ever before. This brushless drill delivers outstanding durability, amazing efficiency and fantastic power. 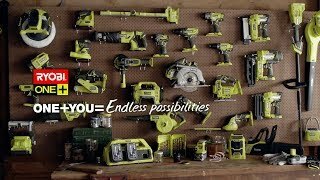 With the incorporation of our innovative Brushless Technology, Ryobi has developed a truly sophisticated, yet easy-to-use drill driver. The brushless motor keeps the device cooler and minimises wear on the motor — this is a power tool designed for the long haul. As part of our 18V ONE+ System, this drill can be charged and powered by the same batteries and chargers as your other ONE+ tools and hardware.